After a string of leaks and rumors, Amazon’s long-awaited smartphone appears to have been revealed in a leaked image obtained by BGR. The photo, which the outlet reports was intended for Amazon’s in-house graphic designers, shows a fairly traditional handset design with curved edges, a rear-facing camera and rectangular home button. A twin speaker grill is located on the bottom edge, while a power button and volume rocker rest on the side. 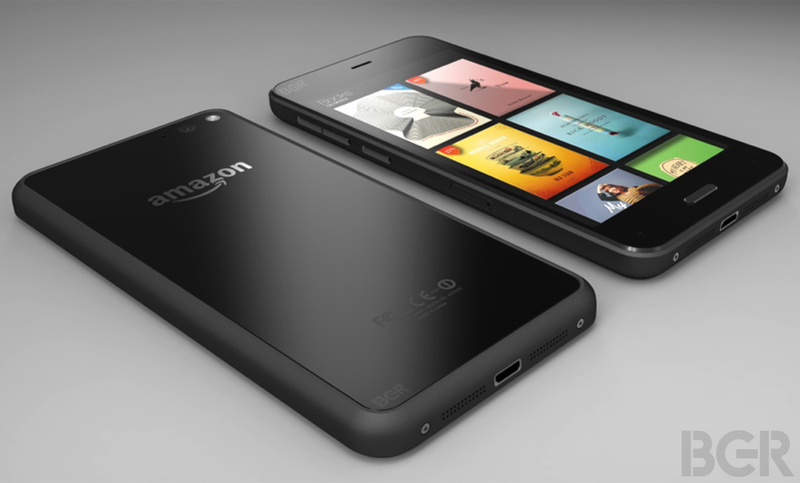 The smartphone is jet black, with soft-touch sides and the Amazon logo shown prominently on the back. Almost a month ago, BGR posted a series of photos showing what it claimed to be Amazon’s upcoming flagship. The handset was obscured by an external case though, which made it difficult to verify its authenticity, or draw any significant conclusions about its design. The smartphone is believed to have multiple front-facing cameras; TechCrunch reports it will have four lenses on the front – one in each corner – to create a 3D representation of various content shown on-screen. BGR suggests the device will have six cameras in total, however – an additional front-facing camera for video calls and a fairly standard shooter on the back. It’s also said to come with a 4.7-inch 720p display, a Qualcomm Snapdragon process and 2GB of RAM. These aren’t cutting edge specs, suggesting that it’ll be an affordable mid-range device similar to its various Kindle Fire tablets. There’s no way to verify the authenticity of this new image, and it’s possible the design will be altered before its official unveiling. We have reached out to Amazon however, and will update this article with any information we receive.